Warner Bros. held the world premiere for Batman v Superman: Dawn of Justice this past Sunday in New York City, which lead to several fans expressing their positive reactions through social media after the film had ended. However, just a few days later, the official critics' reviews came pouring in, and they were not terribly positive, with an initial 40% score on Rotten Tomatoes that has since dipped to 32% just two days later. Yahoo! Movies UK managed to catch up with Batman v Superman: Dawn of Justice star Henry Cavill, who said that the fans' opinions are what really matters to him. "The interesting thing is that we get the critics who have their personal opinions. And the thing about personal opinions is that they always come from a place. And there's a preconceived idea which you have to get past a critic before you start writing your article or your review, and that affects everything. What is really going to matter, I believe, is what the audience says. Because they're the ones who are buying tickets, they're the ones who want to see more of this kind of story or not and so the audience's voice is loudest and after this weekend the audience, at least partly, will have spoken." It will be interesting to see how Batman v Superman: Dawn of Justice does at the box office, since Warner Bros. is building their entire DC Extended Universe (DCEU) around this movie. In just a few weeks, Batman v Superman: Dawn of Justice director Zack Snyder will start production on Justice League Part 1, and even if Batman v Superman: Dawn of Justice does underperform at the box office, it likely won't stop Justice League Part 1 from starting production. Yahoo! Movies UK also spoke with Amy Adams, who revealed that fans should form their own opinion without depending on the critics. "I know that Zack (Snyder) doesn't make the movies - or none of us - are making the movies for the critics, you can't go into it with that perspective. I know we really hope the fans like it and so far the reaction has been really positive on that front. If you're interested in a film you should see it and form your own opinion rather than just going on the word of somebody [else]." 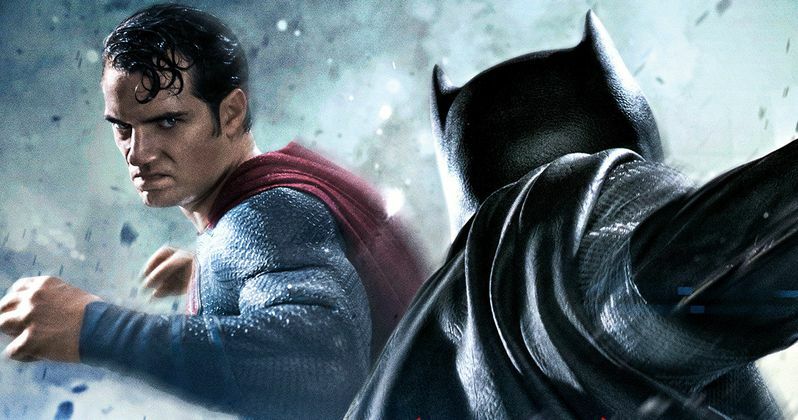 Batman v Superman: Dawn of Justice is projected to take in approximately $160 million at the box office in its opening weekend, which would far surpass the $116.6 million take of 2013's Man of Steel, which introduced Henry Cavill as Superman. Do the negative reviews for Batman v Superman: Dawn of Justice have any impact on whether you see it in theaters this weekend? Chime in with your thoughts below and stay tuned for more on the superhero adventure's box office figures over the next few days.